Home > News - SEPTEMBER 2016 > Mutual Fund : Why Disclosing Income may Not be As Bad..! Mutual Fund : Why Disclosing Income may Not be As Bad..! A BALASUBRAMANIAN, Birla Sun Life Asset Management. When it comes to disclosure of income, there may be quite a few Indians who may have mixed feelings about paying taxes & disclosing their income. India's income tax data shows that of a nation of 120 Crore, only 1% of population pays income tax. Each individual must have his own plausible reason for disclosing his income or / paying taxes. This too, has its own repercussions and a ripple effect on his life cycle. It is a known fact that there exists a dilemma in every decision making process. The source of this dilemma mostly springs from the state of one's mind. This could include a mix of reasons such as emotion, uncertainty , unfamiliarity, and unpopularity of outcome, fear of questioning, societal impact, and possibly the anxiety of government scrutiny . Not every decision can be made based on emotion and gut feeling and if so, the outcome will also be unknown. Let us, therefore, examine the economic value that a decision can generate. What also needs to be considered is how all aspects of the dilemma can get addressed by informed decision. The government has created, for the Indian public, the opportunity to disclose income that was previously undisclosed for some reason or other -be it incidental, accidental or intentional. While the government itself is not asking the reason for non-disclosure, the disclosure comes at a price which is 45% one-time tax. Given this opportunity , it merits that the decision to disclose income be taken on the basis of the future value that it can generate. First and foremost, the most immediate value it creates is peace of mind. This is most important in everyone's life including individuals and immediate family , and therefore, cannot be ignored. Having said that, let us assume one discloses Rs. 1 crore of undisclosed income. On this, he/she pays Rs. 45 lakh as tax, and the balance amount of Rs. 55 lakh becomes a legitimate asset. Effectively , disclosure converts Rs. 1crore illegitimate asset to Rs. 55 lakh legitimate asset which has more utility and can be invested in a tax efficient manner across various financial instruments, and act as a money multiplier over the long term. The table below gives clearly the benefit that accrues to individuals is substantially higher than the tax what one pays and the value loss that exist on the non-disclosure. Scenario 1: Undisclosed money kept idle loses value to inflation.You may wonder where is the loss in the value, but believe me, inflation is killer. One never realises the value of the depreciation year on-year on the basis of inflation that exists. Basically , if money is not put to economic use and lies idle in a coffer, its purchasing power goes down. After disclosure of one's own income an individual is benefited with peaceful mind and also most importantly he has wide investment arenas to park his idle money and earn better returns. So as below table mentions the individual now has multiple options to park this Rs. 55 lakh in various financial assets and earn superlative returns over longer term. We have taken conservative assumptions for returns an investor could make over 10 years in various financial instruments. All these three investments have given more than 100% returns. And again note, actively managed equity mutual funds on an average over the last 10 years have given returns in the range of 12% to 13% CAGR(compound annual growth rate), wherein your wealth would have grown at a much higher rate. Out of many advantages, there is this inflation adjusted returns that strikes a chord in my mind. Let me conclude by saying that the pros and cons of availing the government disclosure of undisclosed income scheme is substantially in favour of disclosure on the basis economic value that the decision can create. This is what every savvy or smart investor do look at in every aspect of their decision making process. It is worth applying same principles here as well. One last point I would like to highlight on my personal experience. As part of drive to increase mutual fund penetration, I travel to interior markets across India.In one such market, an investor asked me how he could invest with mutual fund as he/she has a large amount of cash. I told him that this is not possible unless he channels money to mutual funds through his bank account after fulfilling KYC (know your customer). Is it not an opportunity for such investors as well to avail this benefit? 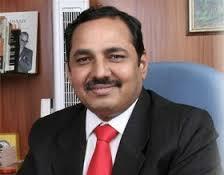 Author Mr. A BALASUBRAMANIAN is CEO, Birla Sun Life Asset Management.